Mel McDaniel needs your help! 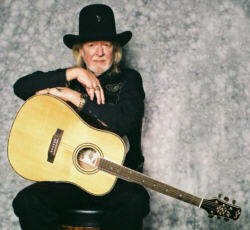 Benefit auction and concert to assist Grand Ole Opry member. Friends and fellow country artists of Grand Ole Opry member Mel McDaniel have joined forces deliver a music-filled, star-laced benefit concert and auction Thursday, Aug. 13, for the ailing singer. McDaniel was hospitalized July 6 following a mid-June heart attack and placed in a medically induced coma by doctors. On July 22, an Opry spokeswoman reported that the Oklahoma-born singer, whose hits include “Stand Up,” “Baby’s Got Her Blue Jeans On” and “Louisiana Saturday Night,” was being released to a rehabilitative center for continuing care. In a collective effort to assist McDaniel and wife Peggy with their mounting medical costs, members of the Nashville country-music community have organized a 6-10 p.m. concert and silent auction at the famed Nashville Palace, 2611 McGavock Pike, with proceeds benefiting singer-songwriter McDaniel. Broadcast veteran Keith Bilbrey reportedly is set to emcee the event, which will feature guest performances by some of McDaniel’s Opry family, including Little Jimmy Dickens, Jean Shepherd and Jim Ed Brown, as well as Rick Blaylock, Alison Clements, Jared Rogers, Tommy Cash, Buddy Jewel, David Ball, Guy Gilcrest, T-Bell, Jet Jurgensmeyer, Helen Cornelius, Ken Peletier, Ricky Lynn Gregg, Jimmy Fortune, T. Graham Brown, Billy Are, Hank Beach, Charlie Louvin, Don Wayne, Jack Greene, Jimmy C. Newman, Larry Paxton and Candi Apple Red, among others. McDaniel’s band, Oklahoma Wind, will provide backing music for the lineup. Find the most current Mel McDaniel tour dates from our partners at Country Music On Tour, your trusted country concert ticket source! Country Music News Blog participates in advertising programs that help fund the operation of this site. For more information please visit our privacy statement. This entry was posted in Mel McDaniel by Shauna "WhiskeyChick" Castorena. Bookmark the permalink.